my mini world: Beautiful structure! 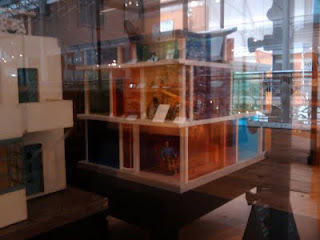 I took the children to the V&A - Museum of childhood! 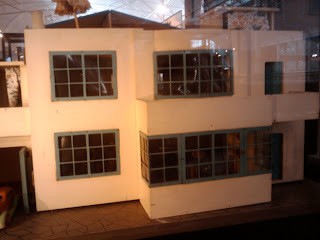 as they looked at the different games and toys I was itching to drag them to the home section which houses the musuems doll house collection, I had been there once with a friend, and enjoyed it, especially seeing how the dolls houses were designed and built to reflect the life, and the people at that time. 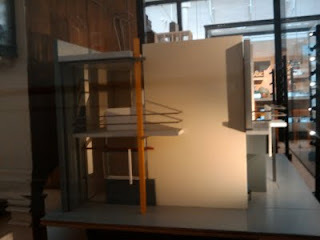 I got to see a triang house which I liked, because of its windows and cubic design. The plaque read "Shroeder house..."? I didn't have my camera just my phone so I took the pictures below! I love it! and I want one just like it! 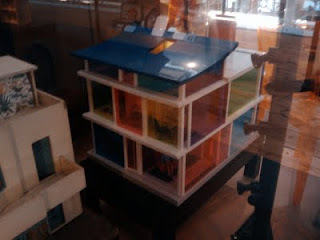 In the same display case as the Shroeder house and the triang house was the house I had gone to see..... the kaleidoscope house... beautiful! 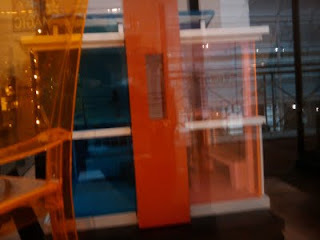 I have always wanted to visit this museum. I appreciate the pictures of the Schroder House. 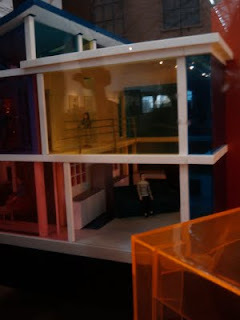 That is a dollhouse too or is that just a model? 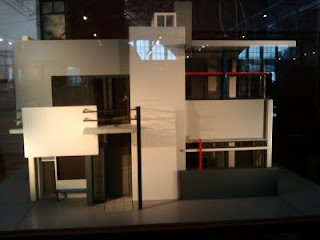 Interestingly enough---I think the KH was designed in spirit of Rietveld's Schroder House. 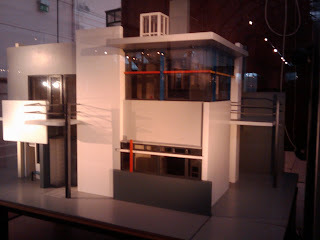 Love the Schroder House, I would love having that as a doll house! Thanks for sharing! 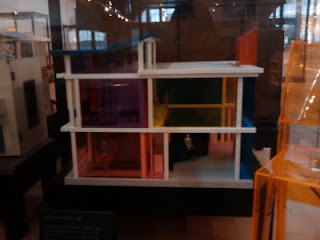 The Kaleidoscope House is one of my favourite houses as well and I was lucky enough to see it in Paris. I plan to make them all in 1:144, when I'm in the mood for this work. I would like to go to this Museum one day too. UK is not so far... Perhaps we'll meet? Thanks Oese, sounds great!, they do have some beautiful houses! It's great to see the Schroeder House! Thanks for sharing!